Our partners are passionate people and live and breathe the Salsas brand, every day and in every way. 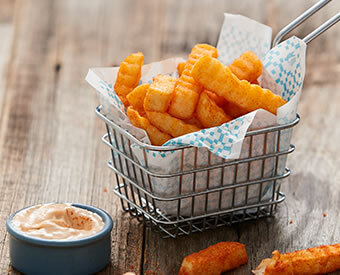 Whether creating bold, colourful food in store daily or providing customers with an exciting and personalised customer experience, they know this is a franchise made with love. *For illustrative purposes only. Image is not the actual store available. For more information on the numbers, our frequently asked questions and the simple steps to becoming a franchise partner, please view the following Retail Zoo Information Pack. Initial Investment: To be discussed directly with the Salsas Franchising team. Fill in these details as a quick expression of your interest. Express your interest in franchising with Salsas by completing the enquiry form. You will receive an email containing more information, login details and link to the Salsas application portal. Seen a hot place for a Salsas store? If you have a great location in mind that you would like to franchise then let us know. Remember a good Salsas zone is a busy, high traffic place. What kind of person do I need to be to succeed with Salsas? Focused, persistent and determined with a strong understanding of the term ‘partnership’. These attributes are crucial for growth and ongoing success. Do I need experience in the food industry to become a partner? No you don’t. But you must have a hunger for success, love the Salsas philosophy and have an unmatched enthusiasm for your business. This is all achievable without prior food or business ownership experience! A genuine appreciation for great customer service is also integral to growing as a successful franchise partner. We will supply you with all of the tools, systems and process to assist you in reaching your business aspirations. Every franchise candidate’s journey through the application process is different as there are always many variables at play. Typically our candidates reach the final assessment stages of our application within 8-10 weeks of applying. We will work with you at a pace that you are comfortable with however, please be mindful that timeframes may vary depend on a number of factors. We always endeavour to operate transparently so that you understand where your application stands at all times. How much training is involved to become a partner? We have a comprehensive training program in place for all new partners entering our network. The training program is four weeks long and takes place in Melbourne. Our complete training is inclusive of front and back of house operations. You will also be provided with support in your new store by the Learning & Development team in your first days of operation. You will feel confident to step into your new store understanding all facets of running that business after working closely with our dedicated Learning & Development team! What kind of materials do I get after training? You’ll receive operations manuals, information on recruitment, products, suppliers, customer service, financial reports and marketing information. All of these arm you with the necessary support for your successful business venture. We are always here to help and support you as you grow. What are the investment costs? $430,000 to $480,000 (+GST). This pricing is based on a Food Court kiosk format. This includes all training, set-up/shop build, and all associated start up Franchise fees. $575,000 to $650,000 (+GST). This pricing is based on a Fast Casual/Street site format. This includes all training, setup/shop build and all associated start up Franchise fees. This contract covers the franchise fee, fit out and design of the store, all of the plant and equipment in the store and your training. In addition to this, you will need to budget for working capital, start-up stock and local area marketing. If you are interested in buying an existing Salsas business, you will negotiate the sale price directly with the existing owner of the store or their nominated business broker. You will need to pay the $2,200 application deposit plus the training fee ($14,000 + GST) to Salsas, on top of the price you negotiate with the store owner. Please note that you will also need to supply a bank guarantee to the landlord (similar to a ‘rental bond’ paid to the landlord at the beginning of a lease term). Are there ongoing fees after the franchise fee and store establishment costs are paid? 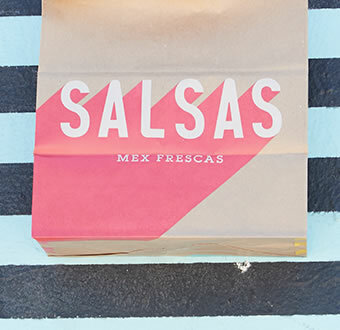 What kind of return can I expect from operating a Salsas Fresh Mex franchise store? Due to a significant number of variables when operating a franchise, we can’t provide you with concise figures before you start. Once we receive your application form and your initial telephone interview is complete, you will receive a Confidentiality Agreement. Following the execution of this agreement, we will provide you with the historical sales figures from the Salsas network and a financial planning guide to assist with your preparation of a business plan. It’s imperative that you seek independent financial advice as a part of your due diligence and that you create your own forecasting and business planning documentation. How much money will the bank lend me? We hold an accreditation with the major banks and work closely with CBA, Westpac & NAB. This means that they are familiar with our franchise model and our processes, so the lending process is generally less arduous than if you were to start your own business. Typically, the banks lend 50% of the purchase price in the form of a business loan. We recommend that you commence discussions with your bank as soon as possible to understand your lending capacity and whether investing in a franchise with Salsas is a viable option for you. What ongoing support will I get from Salsas? Salas has a large network of professionals at the global support centre in Melbourne to assist our franchise partners. Our support teams cover areas such as Marketing, IT, Finance, Leasing, Product & Supply and Store Design just to name a few. You will also enjoy support from our dedicated team of operations professionals on the ground to assist you with your day to day needs and to mentor you as a business owner. How long is a Salsas’ Franchise Agreement? If you are purchasing a new store, the term of the Franchise Agreement will be 7 years. If you are buying an existing Salsas store, you will be offered the remaining term left on the existing agreement for that store. Lease terms vary from store to store. Typically, a retail lease term is around 4 – 6 years in duration. The term of the lease is set by the landlord and while we will always look to secure the longest possible lease, it is unlikely that your franchise agreement term and the term of your lease will be congruent. This is not a problem. As a franchise partner, you are able to sell your asset (your franchise) at any time throughout the franchise agreement term or the lease term. It is important to note that your business will always be worth the most at the beginning of a new lease & franchise agreement term. If you have any questions about this, please contact the Salsas Franchising team as we are happy to provide more information about this. Do I have to be an Australian Citizen or Permanent Resident of Australia to franchise with Retail Zoo in Australia? Yes, you will need to hold either Permanent Australian Residency or be an Australian Citizen to purchase a Salsas business. Does Salsas release their franchisee selection criteria? To protect the integrity of the recruitment process, we are unable to release the criteria of our application process. However, to give you a couple of hints, we are looking for business-minded people who love our brands and want to contribute positively to our franchise network! Do I need to work in the business full-time or can I run my franchise under management? At Salsas, our experience is that the most profitable business are owner-operated. For that reason, we have an expectation that our franchise partners are working in their businesses. The Franchise Agreement stipulates that you must commit yourself to the business on a full-time basis for the first 6 months and for at least 20 hours per week thereafter. Ideally, we are looking for full-time owner-operators. Yes, you will have access to at least 50% of the purchase price of the business. You may have this in actual cash, funding from family and friends, equity in your home/ investment properties or a combination of all of these. Please be aware that we will request proof that you have access to these funds throughout the franchise recruitment process. Once you submit an enquiry keep your eye on the email address you supplied! You will receive an instant bounce back email with a link to the Retail Zoo Information Pack and your own unique login username & password. You will need these unique details to proceed to the full online application form and start your Salsas adventure. As the email sent to you is automatically generated from our system, sometimes the response can end up in your junk mail account, so please be sure to keep an eye out for it! Talk to our Franchising team for more information or submit a quick enquiry below to start your Salsas journey today!